"I hope that these twenty pages will be recalled when modern civilization flounders as a result of the disastrous ambiguity of the words: nation, nationality, race." 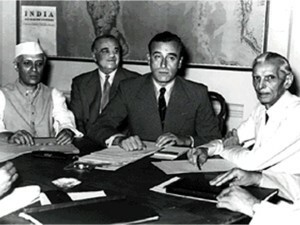 Those "twenty pages", which Renan had hoped would save the world, became the intellectual premise for Iqbal's proposal about the birth of a new state. In his Allahabad Address, Iqbal quoted from this lecture of Renan in a manner which makes his own writing – also comprising of some twenty pages – a sequel to Renan's lecture, and could easily be subtitled "What Is A Nation? Part 2". Hence, the passionate warning of Renan that his lecture should be used for averting disasters may now be seen as directly addressed to Pakistanis (and by that implication to Bengalis and Indians in so far as the creation of Pakistan is a fact of their history too). They people cannot afford to disregard the warning of Renan even if the rest of the world forgets him. In their history, those twenty pages have played an actively role unlike anywhere else in the world. The key for understanding this is to consider three crucial references to Renan in the writings of Iqbal. "Our duty is carefully to watch the progress of human thought, and to maintain an independent critical attitude towards it." This is the advice which Iqbal offered to his readers at a certain stage, and it reflected a practice which he had followed throughout. A very good example of this "independent critical attitude" is his engagement with the thought of Renan. The benefit of this approach becomes evident when we look at how it helped Iqbal to engage with the powerful mind of Renan in a creative and original manner as we shall see now. In his 1882 paper, Renan had shown conclusively that geography, race, language or religion did not make a nation. About Islam, he had written somewhere that it was going to "lose the high intellectual and moral direction of an important part of the universe". Quoting this statement in his paper "The Muslim Community" (1911), Iqbal called it "a veiled hope" on Renan's part that Islam should thus fizzle out. Yet he bypassed such quibbles and managed to meet Renan on the grounds of common principles. 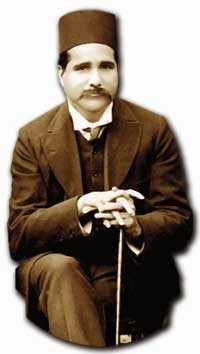 The first principle which Iqbal seems to have discerned from the writings of Renan was that any community, society or nation which hoped to hold itself together merely through belief in certain propositions of a metaphysical import was indeed standing on an extremely unsafe basis, especially before the advance of modern knowledge, with its habits of rationalism and criticism. 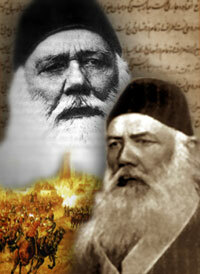 (Iqbal, "The Muslim Community"). Mere belief in the Islamic principle, though exceedingly important, is not sufficient. In order to participate in the life of the communal self, the individual mind must undergo a complete transformation, and this transformation is secured, externally by the institutions of Islam, and internally by that uniform culture which the intellectual energy of our forefathers has produced. 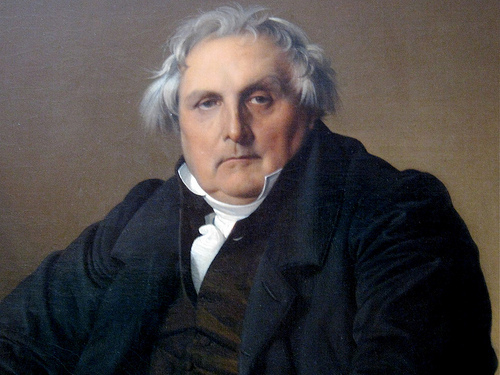 Renan had described the evolution of modern European nations to show that diverse factors had gone into their making. Iqbal showed that in Asia, such factors had been provided by Islam, which had been working as much more than a religion. The vision of Islam which he offered was neither a set of metaphysical beliefs nor a two-dimensional study of "lived religion", but was through and through a people-building force (see "The Muslim Community"). Indeed it is no exaggeration to say that India is perhaps the only country in the world where Islam, as a people-building force, has worked at its best. This subtlety is obviously ignored by those who seek to reinforce the Islamic identity of Muslim societies in South Asia by introducing more rigid models of Islam from other parts of the Muslim world. It also seems to be forgotten by those who hope to make these societies more tolerant and enlightened by importing esoteric and metaphysical wisdom from abroad. At least in the case of Pakistan, this observation is also being ignored by those who propose to impose unpopular secularist oligarchies. All these reformers and adventurers would perhaps benefit by considering what Iqbal stated elsewhere: "The flame of life cannot be borrowed from others; it must be kindled in the temple of one’s own soul. This requires earnest preparation and a relatively permanent programme." (The Lahore Address, 1932). 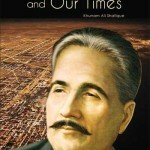 The most interesting aspect of the connection between Renan and Iqbal is that it helps us restore Renan's principle of nationalism as a workable solution not only in Iqbal's society but perhaps also elsewhere in the world, and points in the direction of that empirical evidence which may qualify Renan's principle for being called, truly, "the spiritual principle of nationalism." We have seen that Renan, in his 1882 lecture, had refuted the presumptions of some earlier thinkers that nations could be formed on the basis of geography, race or language. 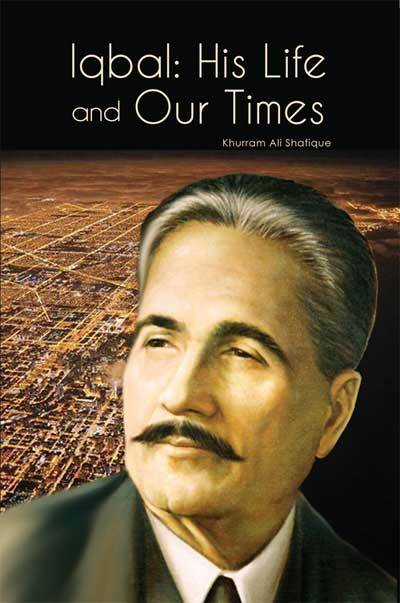 This should be of special interest to the learners of Iqbal Studies, who very well know that Iqbal launched an ideological attack against these theories of nationalism, but most of them do not realize that Iqbal did so on a premise already established for him by another great thinker. We have also seen that Renan's assumption that religion could not provide a feasible basis for nation-building was modified by Iqbal on the grounds that this could be true about a certain conception of religion but not about another conception that was most peculiarly evidenced among the Muslims of India. Now we may come to consider the question that if geography, race, language or "absolute distinction between men on the basis of religion" does not define a nation, then what does? The answer which Renan provided was the spiritual principle of nationalism. It had two postulates. The first explained how modern nations were formed. The second answered how they could be sustained. To wish to perform still more. A nation is a soul, a spiritual principle. Two things, which in truth are but one, constitute this soul or spiritual principle. One lies in the past, one in the present. One is the possession in common of a rich legacy of memories; the other is present-day consent, the desire to live together, the will to perpetuate the value of the heritage that one has received in an undivided form. Man, Gentlemen, does not improvise. The nation, like the individual, is the culmination of a long past of endeavours, sacrifice, and devotion. Of all cults, that of the ancestors is the most legitimate, for the ancestors have made us what we are. A heroic past, great men, glory (by which I understand genuine glory), this is the social capital upon which one bases a national idea. To have common glories in the past and to have a common will in the present; to have performed great deeds together, to wish to perform still more—these are the essential conditions for being a people. A nation's existence is, if you will pardon the metaphor, a daily plebiscite, just as an individual's existence is a perpetual affirmation of life. That, I know full well, is less metaphysical than divine right and less brutal than so called historical right. According to the ideas that I am outlining to you, a nation has no more right than a king does to say to a province: "You belong to me, I am seizing you." A province, as far as I am concerned, is its inhabitants; if anyone has the right to be consulted in such an affair, it is the inhabitant. A nation never has any real interest in annexing or holding on to a country against its will. The wish of nations is, all in all, the sole legitimate criterion, the one to which one must always return. “Man,” says Renan, “is enslaved neither by his race nor by his religion, nor by the course of rivers, nor by the direction of mountain ranges. A great aggregation of men, sane of mind and warm of heart, creates a moral consciousness which is called a nation.” Such a formation is quite possible, though it involves the long and arduous process of practically re-making men and furnishing them with a fresh emotional equipment. It might have been a fact in India if the teachings of Kabir and the Divine Faith of Akbar had seized the imagination of the masses of this country. Experience, however, shows that the various caste units and religious units in India have shown no inclination to sink their respective individualities in a larger whole. Each group is intensely jealous of its collective existence. The formation of the kind of moral consciousness which constitutes the essence of a nation in Renan’s sense demands a price which the peoples of India are not prepared to pay. consult the populations in the areas under dispute." that Renan had said such a thing. This recommendation will bring a smile to the lips of the transcendants of politics, these infallible beings who spend their lives deceiving themselves and who, from the height of their superior principles, take pity upon our mundane concerns. It could be very rewarding to apply Renan's principle to a case study of the history of South Asia from 1887, and see what empirical evidence turns up. For this, we shall need to add the twenty pages of the Allahabad Address to the original twenty of Renan's What Is A Nation. Such a study has not been undertaken until now and still awaits some insightful and bold scholar. Essential excerpt from English translation of Renan's paper "What Is a Nation?" Comments can be posted directly at Marghdeen Learning Centre.